My longing for a solo trip has been fulfilled early this year when I went to a solo trip on a beach located in the southern most part of the country. I’ve been wanting to do a solo travel since I had my first solo trip 2 or 3 years ago. With fellow blogger, Maricar, we flew to General Santos City to do our own SOCCSKSARGEN Experience Tour. My flight was a day earlier than her flight which gave me a day to travel alone. 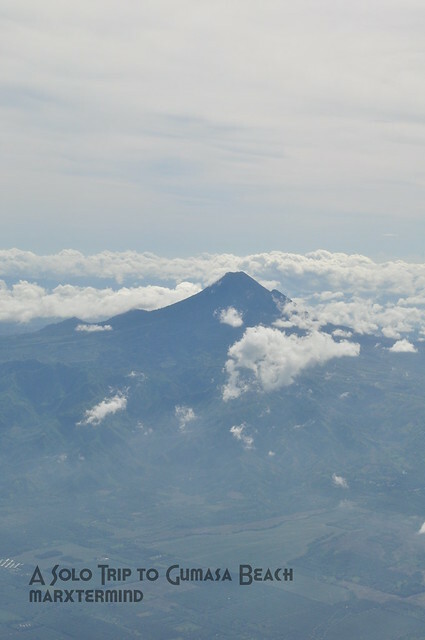 As our plane approached General Santos International Airport, I couldn’t help but be fascinated with the aerial view of Mount Matutum. From that moment I could feel that this trip will going to be exciting; though I could feel a little nervousness since this was so far the farthest solo trip I’ve been to. General Santos International Airport is also often referred to Tambler Airport. The airport is situated at Baranggay Fatima, General Santos City. It is said to be the largest airport in the land of Mindanao serving the greater area of SOCCSKSARGEN (Region XII). I should have taken the shuttle service which only costs PHP 150.00. I took my lunch first in a fast food inside KCC Mall of GenSan. Afterwards, I went to my lodging at Amigotel (review on a separate post). 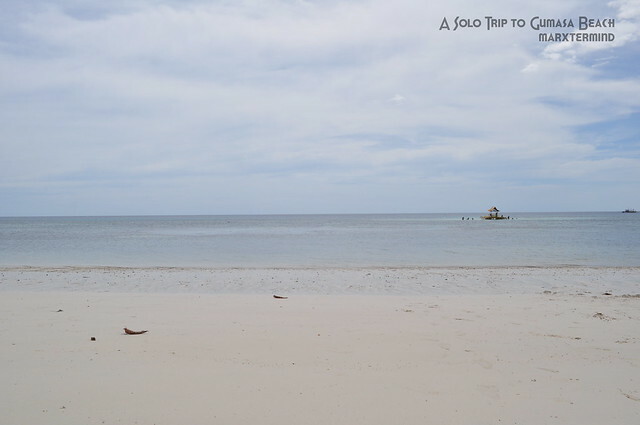 I dropped my bags and prepared myself for a day trip to Gumasa Beach in Glan, Sarangani. The main transportation on this town is by tricycle or motorcycle (habal habal). Tricycle fare is about PHP 8.00 to PHP 10.00 depending on the destination. How to Go to Gumasa Beach? From Amigotel, I took a tricycle to KCC Mall of GenSan, fare is PHP 8.00. The terminal to Glan is situated at the left side of the mall. There were vans that goes to Glan. There were no fix schedule as long as the van gets full, it’ll leave. Fare to Glan, Sarangani is around PHP 85.00 with estimated travel time of an hour. We reached Glan, Sarangani at 2:00 PM. From the town terminal, there were motorcycles and tricycles available that can take you to Gumasa Beach. I opted to take a tricycle for a special trip. The ride costs PHP 60.00 one way. I asked the driver to take me to Coco Beach Resort then fetched me around 4:30 PM back to the terminal just in time for the last trip to General Santos City at 5:30 PM. Otherwise, you can take motorcycles (habal-habal) if you missed the last trip to General Santos City. There are various resorts situated in the stretch of Gumasa Beach but I’ve chosen to visit Coco Beach Resort because of some good reviews I’ve read about the place. I had no plans to stay overnight on this resort so I asked the staff if I could just take a visit on the beach until 4:00 PM. They charged me PHP 50.00 for the entrance fee. The resort staff and owner wonder why am I alone and how did I discover their resort. I told them I was fascinated by the beach when I saw it online that’s why I’m here. It seems like they weren’t used to solo travelers yet. But I loved their hospitality as they care about me and often asked me everytime I passed through them if how am I doing. There were only few visitors and it seems most of them are locals of Mindanao. 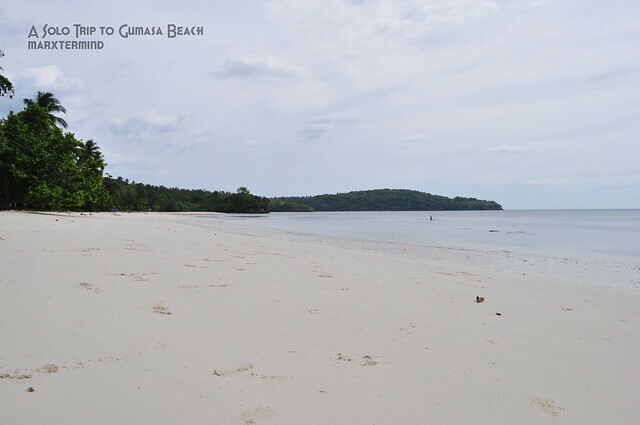 Gumasa Beach is often referred to the small Boracay of Mindanao. I wonder why do we always need to associate Boracay on a beach? Each beach has its distinct feature and I think Gumasa Beach can have its own name without connoting Boracay. It has its fine sand and vast shore, though the water wasn’t that clear during my visit. I took a dip into the water. And I realized one thing, it wasn’t that enjoyable taking a swim alone. It could have been perfect having fun in the water with friends. Nonetheless, I still did not regret my solo beach experience as I have some self realization and travel reflections. It was already 4:30 PM. The tricycle driver fetched me and took me back to the terminal. I took a van to General Santos City. I arrived in the city at 7:00 PM. I took my dinner, headed to my lodging and took a good sleep. I was so happy that I was able to get to this place, the farthest solo trip I’ve been to so far. 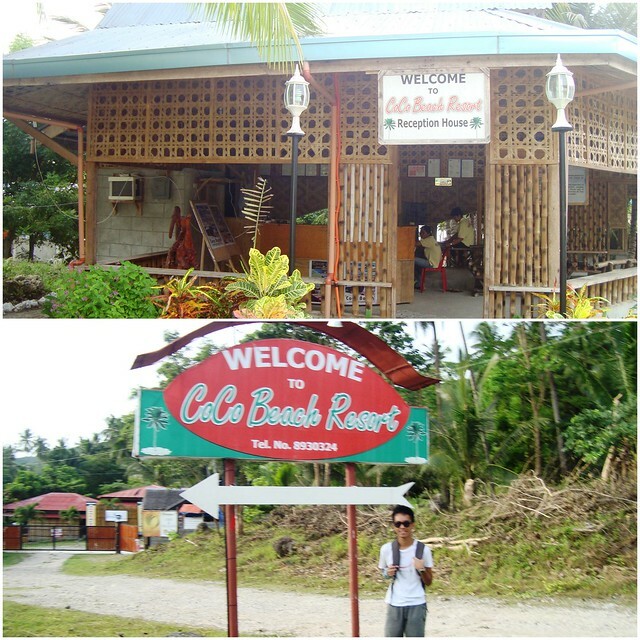 I admit it wasn’t the best beach I’ve been to but it was still the experience that will make me remember this place. There are taxi, shuttle van and motorcycles available for transport from General Santos International Airport to the city proper. Otherwise, you may also arrange transfer from your hotel. can i ask? how much is your budget going there? Sana maka punta ako dyan sa Sarangani maybe this November o December 2015 kaya. You are cool that you travel alone. 🙂 i like that. and love nice clean beaches. Keep blogging your travels 🙂 Bibisita din ako dyan sa gumasa . Thanks for the inputs. This will be useful for my 11th Solo Backpack! Kudos! Thank you soo much for writing this, I would have never gotten to Gumasa beach without your helpful info! Doon ka sana pumunta sa Isla Jardin Del Mar o kaya sa Davak Ridge Resort— sa Gumasa, Glan Sarnagni Province pa rin iyan— mas maganda doon mg.emo-emohan :)…. I have no idea about the room rates but you can check the resort's website/link. 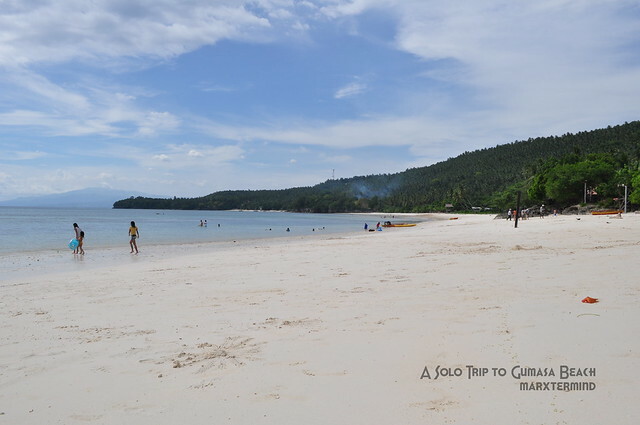 ganda ng wide shore ng beach at unti unti itong promote sa mga travel magazines… mahal ba overnight stay sa resort nila? aahh di pala kayo sabay ni maricar ng flight. nice solo trip, you're a stranger in a far away place! carla, friday? punta ka gensan? san ka mag beach? sa burot ka na namin imeet o sa calatagan? Ayan ang ginawa ko mag-emo, wala ako makausap. Halos lahat pami-pamilya nag nasa beach.